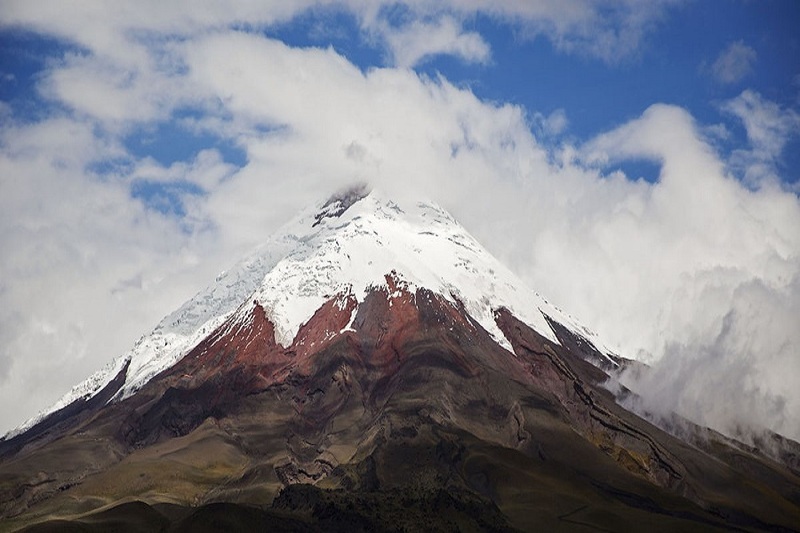 This 9 day is an advanced trekking that will cross all Ecuador from North to South and let you see 3 amazing volcanoes: Antisana, Cotopaxi and Chimborazo. This trip was designed to give people the chance to experience the beautiful country in a totally different way. 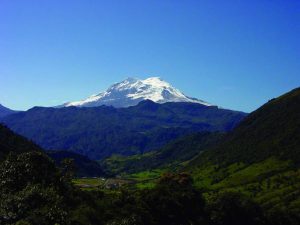 Surrounded by the most beautiful mountains in Ecuador you walk within stunning landscapes and have the chance to see areas with a different vegetation. With pack horses instead of cars and sleeping in cabins or tents instead of nice hotels, you will experience the origin of the country and you will have the opportunity to understand how the traditional way to live in the highlands looks like. 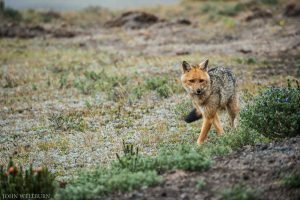 This trek offers you a great opportunity to study the paramo ecosystem as well as the several animals which pass our ways like the famous Andean Condor, just to mention one. The view of the all-powerfull volcanoes and the beautiful surroundings where they are located in, it’s worth any kind of efforts. Take the ride and get ready for this unique adventure through the Ecuadorian Andeans with us and enjoy a unforgettable experience. 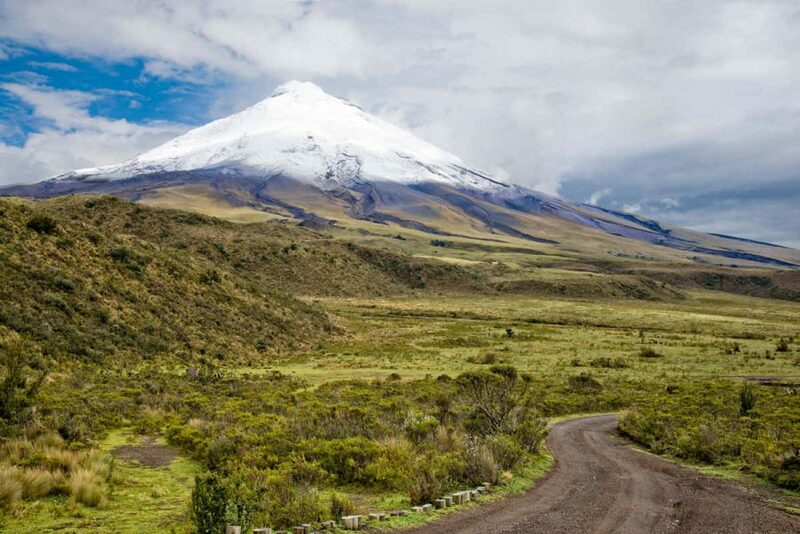 The trek begins near Papallacta, leading past the high Andes regions of Antisana, and finishing at the one and only Cotopaxi National Park. During the trek we will consistently be at heights of 3000m to 4000m, and on clear days this will afford us with fantastic views of the snow-capped volcanoes. 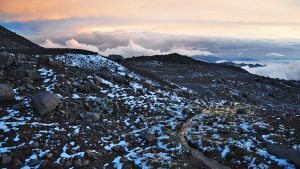 It will also offer a great opportunity to study the high alpine vegetation of the paramo ecosystem and the spectacular animals found within it such as the famous condor that can be found on many of its stretches, hence the name of this trek. 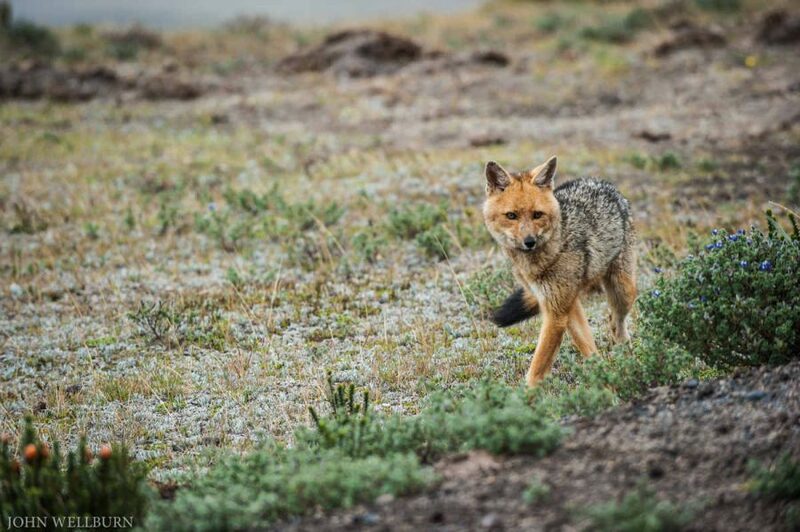 This high altitude trek is suited for those who are in good shape and enjoys mellow hiking through the Andes. This trek starts at 3200m and passes through agriculture land and up into the valley called Abraspungo. This valley was created by glacier carving in the past and now separates the sister mountains of Chimborazo and Carihuairazo. During this hike you will reach a maximum height of 4000m and then we drop back down to 3000m. 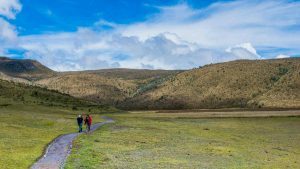 The entire trek follows dry trails and leads through a wonderful paramo region known for its own distinct high alpine vegetation as well as animals. 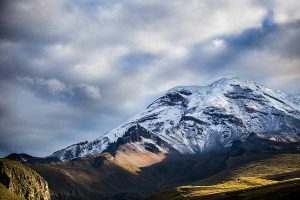 On nice clear days this trek offers great views of the all-powerful and impressive Chimborazo as well as other snow-capped volcanoes in the lower lying valleys. On the first day we depart Quito in the morning and make our way east up toward the Cordillera Real towards El Tambo, a small village situated at 3400m and close to Papallacta. At this point we will load up our packhorses with our equipment and begin the trek which will take around 4 hours. The trail will primarily be muddy and consists of crossing small rivers where rubber boots are essential. We will set up camp near a small lagoon, called Laguna del Volcan. After a scrumptious breakfast we begin our ascent toward the foot of Antisana at 4100m. 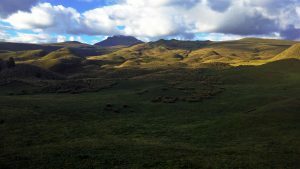 Until we reach the higher paramo, which consists of fewer tress and drier land, we will trudge through some muddy areas and small forests. 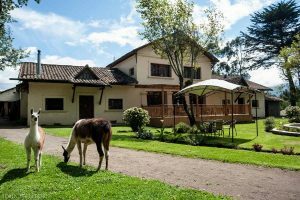 During the trip we will view the striking and impressive Antisana and the Santa Lucia Lagoon. After this 4-hour hike we will set up our second camp sheltered in the valley with a refreshing small creek that runs through. hike takes around 7 hours and is the most exhausting of the 5 day trek. We will leave early in the morning and begin the steep portion of the hike which will lead us to the highest point of our tour, 4500m. The pass over Sincholagua leads us into the Cotopaxi National Park. Continuing from there we descend to our last camp, the River Pita, which is located at the base of Cotopaxi National Park, 3800m. This last stretch of the trek will be on solid and dry ground and will take all together roughly 5 hours. Around 10 am we will have transportation pick us up. From here we will visit the Pre-Inca site of El Salitre and continue up to the parking lot/trail head to reach the Cotopaxi refuge. After a 45-minute climb up to the refuge “Jose Rivas” we ascend upon an altitude of 4800m. After having lunch at the refuge we will head back down in our transportation and go to Papagayo Hosteria with an optional stop at Laguna Limpiopungo, a small lagoon famous for its nesting birds. afternoon we will explore the farming area and its many animals. After breakfast we begin our adventure, leaving the farming community of Urbina and hike up the valley of Abraspungo, the pass between Chimborazo and Carihuairazo. This stretch takes 5 hours on a well-constructed trail, crossing some small creeks until we finally reach a place called Siete Vueltas, at an altitude of 3800m. Here we will put up our second campsite. Later in the afternoon we hike around the surrounding hills to explore the area and get to know the interesting plants and observe birds, like eagles or the famed caracaras. We also get a better and closer look of Carihuairazo with its rugged top. landscape turns from the lush green of the first days to a much drier region. After lunch we hike to the foothills of Chimborazo for a better and closer look at this colossal mountain. 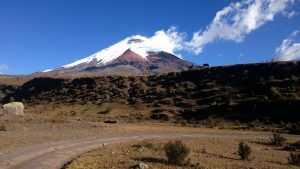 After loading our camping gear into the jeep we head up to the refuge of Chimborazo. 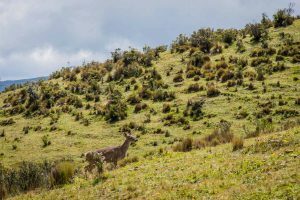 The road leads through a region with sparse vegetation but populated by the beautiful vicuñas, the most graceful of the Llamas animals. We will arrive at the parking lot of the first refuge and hike up to the second refuge, which is located at 5000m. From there we will have the massive glacier of Chimborazo right in front of us. After lunch we set out for the 4 hour drive by jeep back to Quito.